MACRA permanently replaces the unsustainable Sustainable Growth Rate (SGR) formula (created in 1997 to restrict growth in Medicare Part B spending) with a system that attempts to prioritize quality over quantity. It also replaces Medicare’s multiple quality reporting programs with a single Merit-Based Incentive Payment System (MIPS). Before MACRA, several programs such as Accountable Care Organizations (ACOs), bundled payments, and various value-based models existed for hospitals and eligible professionals. Under MACRA, providers will receive a .5 percent annual increase until 2019, at which point they can choose between two value-based payment tracks: MIPS or Alterative Payment Models (APMs). Meaningful use will be moved under MACRA in both tracks. The APMs track reimburses Medicare providers based on value of services rather than service volume. Providers meeting the criteria for this track cannot move to the MIPS track. Physicians receiving a significant portion of their payments through eligible APMs can be exempt from MIPS—and they receive a lump sum payment of 5 percent of covered services. By 2018, CMS wants 90 percent of payments tied to quality, with 50 percent under APMs. The eligible APM must require use of certified EHR technology and get payment based on quality measures. There also needs to be financial risk or a medical home that meets certain criteria. A minimum amount of revenue must be covered under an eligible APM risk arrangement. Most recently, at the 2016 HIMSS, CMS officials stated that physicians can expect meaningful use to continue to be required. Indeed, MACRA will require the continuation of meaningful use for Medicare-eligible professionals, but the incentive program can be modified to achieve the results CMS wants. CMS EHR incentive programs (designed to encourage the adoption of new technology and measure the resulting benefits for patients) have paid out $31.5 billion between January, 2011 and January, 2016. The Eligible Professionals (EP) program received $12.6 billion for approximately 465,000 unique providers. Nothing has changed in 2016. In January, 2016, more than 200,000 eligible professionals saw a decrease in their Medicare payments because they failed to meet meaningful use standards in 2014. Meaningful use isn’t going away. The biggest challenge MACRA brings to healthcare organizations and, in particular, physicians, is administrative burden. In particular, compiling quality metrics. A survey conducted in March, 2016 by Well Cornell Medical College and the Medical Group Management Association (MGMA) found that physicians spend an average of 15.1 hours every week processing quality metrics. The time physicians spend processing quality metrics translates to an average cost of $40,069 per physician, per year. These figures emphasize the analytics burden that needs to offset by clearly defined benefits. Implementing an enterprise data warehouse (EDW) and providing physicians with self-service tools to analyze their performance will help providers and systems navigate the administrative burden introduced by MACRA. Outline a strategy for tackling MACRA by Q4 2016. Educate providers and encourage discussion about the new regulation. 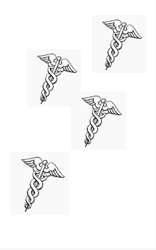 Identify health system thought leaders and discuss APMs (ACOs, etc.). Take a look at your quality measures and identify high-performing areas. Review your CMS Quality Resource and Use Report (QRUR). If you did not report for PQRS or meaningful use, then evaluate the penalties and your readiness for MACRA. Although we’ll know more about MACRA in the coming months, 2017 will most likely be MACRA’s base year, so the best time to start preparing for MACRA is today. We’ll provide a follow-up to this blog as new details about MACRA are released.